Type A perfectionist nice girls of my generation had Rory Gilmore as a role model. The ones who weren’t so nice? We had Blair Waldorf. 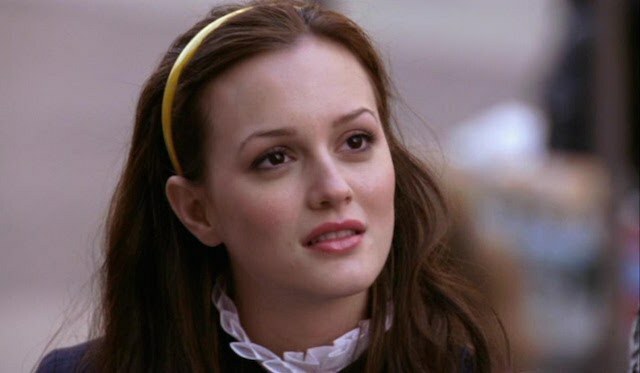 For those who aren’t as intimately familiar as I am with the plot of every CW show since the network’s inception, let me explain: Blair Waldorf was the accidental protagonist of Gossip Girl. The drama centered on the life of hyper-privileged New York teenagers who acted more grown-up than their own parents, constantly got drunk at high-profile bars without ever being carded, and wore designer clothes even when playing lacrosse. Much like in the case of its thematic and production predecessor, The OC, the would-be poor-rich-girl blonde female lead (Marissa Cooper in The OC and Serena van der Woodsen in Gossip Girl and) turned out to be much less interesting than their catty brunette best friends (Summer Roberts and Blair Waldorf, respectively).Thus, mean girl Blair became the de facto protagonist of Gossip Girl. A hyper-alert vengeful perfectionist, Blair was high school meanness embodied, but also an unlikely role model of confidence and power. Gossip Girl came along during the height of my teenage years. I had ditched my goody-two-shoes nerdy side when I changed schools, and I was ready to fully embrace my snob drama queen persona — my Blair side. It didn’t matter that I went to a public high school in Brazil where our uniform consisted of blue jeans and white t-shirts, while Blair attended an elite Upper East Side prep school decked in designer garments, I still felt we were kindred souls. Blair was caught up in a love triangle between two best friends, and so was I; Blair worried about how to best exact revenge on those who had wronged her, and so did I; Blair cried over lost friends and lovers, and so did I. On my first re-watch of Gossip Girl as a slightly more balanced and functional young adult, I realized what had drawn me so strongly to Blair wasn’t her dramatics, scheming or power; it was, instead, her vulnerability and her tendency to fail rather than win. Through the show’s six seasons, she was constantly crumbling under the pressures and expectations put on her by family, school, friends, relationships, enemies and, most of all, herself. It wasn’t, however, narrative justice imposed on her as a punishment for being driven, outspoken, petulant, sexual, ambitious or downright mean – characteristics usually cruelly punished in women in fiction – but a rather realistic (inside the tenuous definitions of reality in a teen soap) rendition of the pitfalls of perfectionism. Her excessive obsession with perfection and competition, led her to frequent and spectacular ruin: not getting into college despite being the rich, privileged, experienced A+ student who would certainly attend an Ivy; one failed relationship after another, whether because of awful suitors or her own gloriously self-focused ambitions; losing a prestigious internship and not finding a job despite her extensive family connections; even falling from grace as the actual princess of Monaco (I did say it was a teen soap with rather tenuous definitions of reality). Her addiction to drama and to the fiction of her own self, a tragic heroine hubris, constantly broke her – but, more than that, she was just constantly being met with the limitations of not always getting what she wanted, no matter how much she tried. While her best friend, Serena van der Woodsen, came across most opportunities by sheer chance, Blair was constantly working hard to get what she wanted. However, the problem with working really hard, believing you deserve something and expecting to get it, is that not everything depends on you. I watched Blair learn that the hard way, again and again, and something in me clicked. You see, as Blair grew up on the show, so did I. After high school, I got into a prestigious university where I studied international relations. I started an internship as soon as I could, which then turned into a full-time job. I eventually ended my high school relationship, which had been toxic and abusive, and started medicating my previously undiagnosed depression and anxiety. I was trying to, once again, shed my previous identity, distancing myself from the drama-obsessed teenager I had been and attempting to live a more balanced and successful life, an adult life – a perfect one. There was a heavy dose of luck and privilege in my own life (although not comparable to what Blair experienced), and I was led to believe I could do anything I wanted. Like many of my peers, I took that to mean I should do and be everything: not only smart, but a genius; not only talented, but a prodigy; not only well-liked, but desirable; not only admired, but envied. I did everything I felt was in my power to attain my goals, in a self-centered drive to be the best version of myself I could be. But things didn’t always go according to plan, and buying into the idea that I was exceptional and therefore deserving of everything I could possibly want only led me down a path towards being pretty much insufferable. That’s when rewatching Blair Waldorf fail in her quests, for whatever reason, brought me to a halt. It made me realize that failure was a part of the process, that I wasn’t owed anything by a mighty force in the universe (no matter how much I worked towards it), that there was no such thing as perfection. Watching Blair made me realize I could use my drive and my ambition to do what was important to me, but that I needed to keep my Slytheryn side in check and give more weight to the Hufflepuff in me (I’m also a Harry Potter fan who enjoys liberally mixing metaphors). The ambition, the tendency to overwork myself in search of my goals, the need to excel – they are all part of me still; they got me to where I am now, in a long-term relationship with someone I love, working as a professional writer, editor and translator, with a closet bursting with dresses and shoes (I overly identify with Blair Waldorf, of course I’m a huge fan of pretty dresses and shoes). However, what made this possible was the realization that I could – and inevitably would – fail spectacularly, that I had to let go of things that didn’t work out instead of fixating on them, that I had to transcend my tendency to obsess and try to control every detail of my own life. Watching Blair Waldorf plot and scheme and come out on top was very motivational. However, watching her learn to gracefully fail taught me much more. Sofia Soter is a writer, editor and translator based in Rio de Janeiro. You can read her published work at her blog or over at Contently. She also enjoys oversharing on Twitter and Instagram.